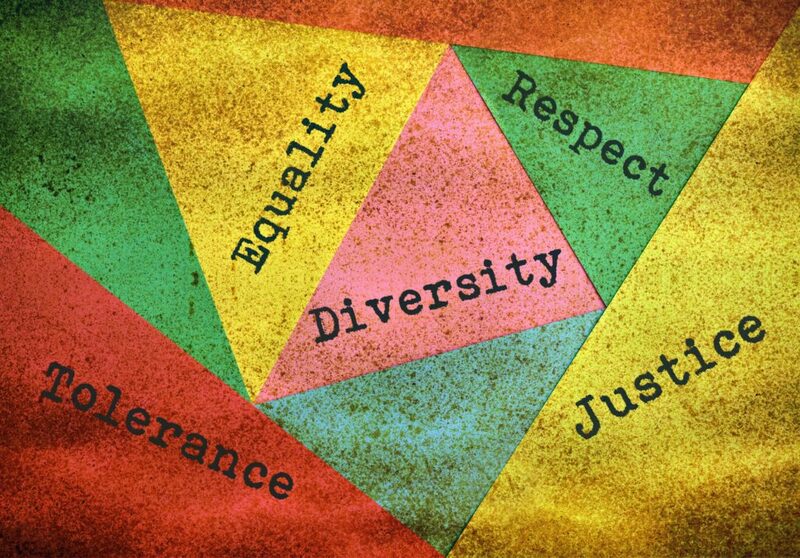 The benefits arising from societal diversity are well-documented. Research shows being exposed to people who are different from us broadens our horizons, enhances our creativity and even makes us happier. But how exactly can we succeed with cultivating a more diverse community in Lakewood? LakewoodAlive’s “Embracing Diversity” community forum takes place on May 23. LakewoodAlive, a nonprofit community development organization, announces it will host a community forum – entitled Embracing Diversity: Fostering Equity and Inclusion in Lakewood – from 7 to 8:30 p.m. on Wednesday, May 23, at Lakewood Public Library (15425 Detroit Avenue in Downtown Lakewood). Co-hosted by the Lakewood Community Relations Advisory Commission, this community conversation will offer insightful dialogue regarding how we as Lakewoodites can further our commitment to embracing and celebrating diversity within our city. Both the general public and members of the media are invited to attend this free forum as the community seeks to better understand the complexities surrounding the concepts of diversity, equity and inclusion as they pertain to race, ethnicity, gender and sexual orientation. The discussion will delve into best practices for identifying our own biases, serving as a change agent for achieving greater diversity and promoting the creation of an even more inclusive community. Moderator Tameka L. Taylor, Ph.D., who serves as President of Compass Consulting Services and previously spent 14 years occupying a leadership role at The Diversity Center of Northeast Ohio, will oversee a distinguished group of panelists for an informative discussion. The final 30 minutes will be devoted to panelists fielding questions from the audience. LakewoodAlive hosts community forums pertaining to topics relevant to Lakewood citizens. 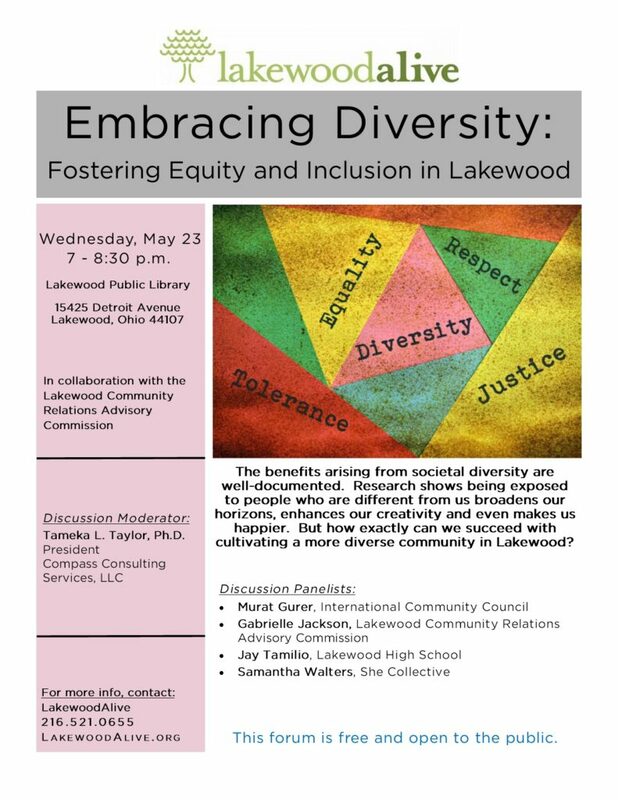 For more information regarding the “Embracing Diversity: Fostering Equity and Inclusion in Lakewood” community forum on May 23, please visit LakewoodAlive.org/CommunityForums or contact the LakewoodAlive office at 216-521-0655.